NORWALK - The vintage vehicles at Dragone Classic Motorcars in Westport provided a backdrop Saturday for the unveiling of an ambitious plan to bring a world class automobile museum to Norwalk. The New England Auto Museum hopes to open a massive facility on West Avenue that would feature a museum, a manufacturer’s showplace, a restoration shop and an education center. “It’s an ambitious project we’re embarking upon here,” Ord said. Scheidel said the group “looked at a lot of properties” in Fairfield County, but they view the Loehmann’s Plaza area as the best fit for the museum. He said the group met with the Mayor’s Office, state Sen. Bob Duff, D-25, and other political officials before setting its sights on Norwalk. The New England Auto Museum is still a long way from being realized. The first step in the museum’s realization is raising $250,000 so the nonprofit can establish an office in Norwalk, Scheidel said. He estimates the cost of building the facility will be upwards of $20 million. 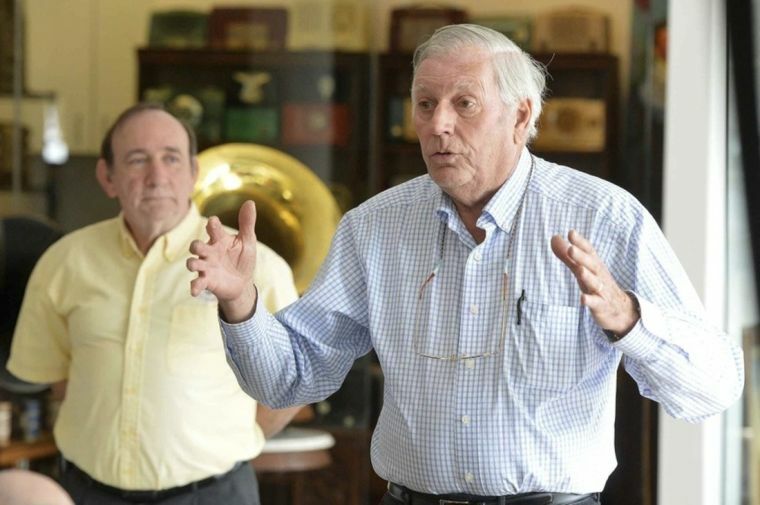 Local racing legend Bob Sharp, who served as the pitchman for project, said the group still needs to obtain grants and corporate sponsorships, raise money and secure the facility. John Cusano, community development coordinator for the state Department of Economic and Community Development, was among the guests that packed the Dragone showroom Saturday. Cusano, who calls himself “an old gearhead,” is a longtime Norwalker, and he is interested in seeing the vision become a reality. 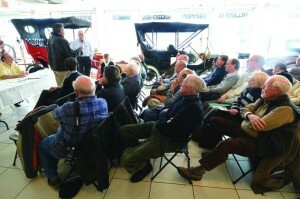 “There’s a really rich history in all of these automobiles, which is really global,” he said.